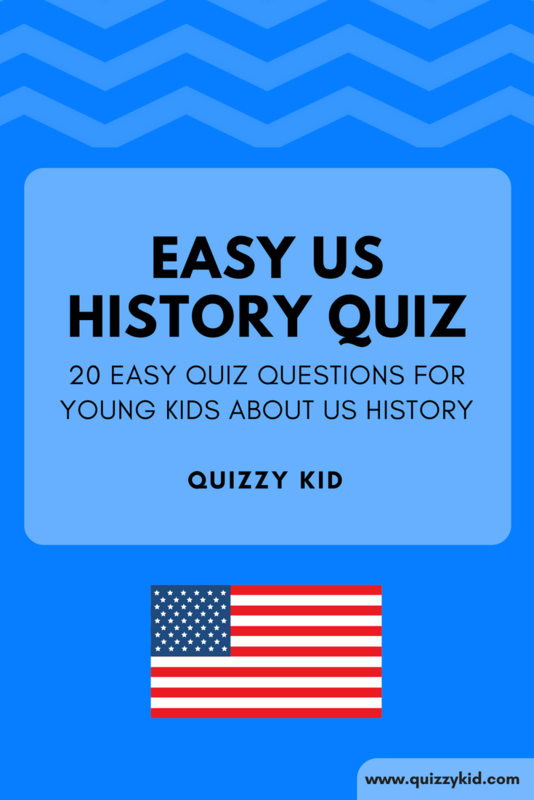 10 easy history quiz questions all about the USA. Perfect quiz for 5 year olds and 6 year olds. How much do your kids know about American history? If you like these history trivia questions and answers then have a look at our 20 question printable quiz pack. Want a slightly harder quiz? Check out our US History quiz and our Christopher Columbus quiz. Q1. What is the capital city of the USA? Q2. Which explorer discovered North America in 1492? Q3. What date do we celebrate independence day? Q4. Who was the first US president? Q5. What is the name of the building where the president lives? Q6. What mountain has the faces of 4 US presidents carved into it? Q7. What animal is considered to be the American symbol? Q8. In which city can you find the Empire State Building? Q9. What do the stars on the US flag represent? Q10. How many colonies were there originally?